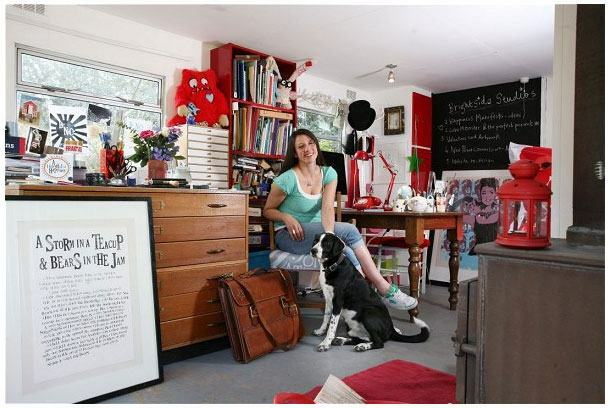 Rachel Bright in her caravan studio. For all the thousands of products we have here at CampusGifts, there are few ranges more appealing and life-affirming than the Bright Side. We thought it would be a great idea to delve a little deeper into the Bright Side of life and talk to Rachel Bright, the - we'll say it - genius behind the brand. Have a read of her thoughts from everything to the creation of the brand to her questionable fashion choices as a young girl. gone from card to full-blown book. 1. How did the Bright Side begin life? The Brightside began life in a wonderful, magical little room in a print studio in Bristol, filled floor-to-ceiling with dusty drawers of old wooden and lead letterpress type. I was playing around and printing some things – words and phrases that fell out of my head. One of them was ‘You make my heart go Boom’ and I thought: there’s a valentine’s card… and so the Brightside was born. 2. Why do you think the brand has become so popular? Because people are generally very lovely to each other and hopefully because the Bright Side gets straight to the point, by talking straight from the heart. I am passionate about using a true, authentic voice. I get some of my best ideas when I’m actually saying something to one of my friends – thank you or well done or happy birthday – that’s when the words really flow. If you love what you do, it comes across in a way that speaks to other people – at least I hope so, because I certainly love what I do. The Brightside has made me realise just how many of us optimists there are out there. shines through in her work. 3. Where does your endless well of optimism come from, and why is optimism so important? I think I was lucky to have been born with a sunny disposition – but it’s also a conscious decision too. I’ve noticed that the happier I feel (even if I sometimes have to listen to music or call a friend or eat cake to find that happy place), the better life gets and it’s as simple as that. Even when things aren’t going to plan in life, if you shift your perspective there is almost always a way to see how something good is coming of it all. The winds of change bring exciting opportunities and people your way – and ultimately it’s the unpredictability and bonkersness of life that also makes it so wonderful. If you can just shift your perspective even a tiny bit you can transform your life. My motto is never to take life too seriously – if you can laugh everyday – you’ve got it made. Printing her distinctive Bright Side font. 4. You’ve got a Masters Degree in printmaking: how easy was it to come up with The Bright Side’s distinctive font? I had an amazing time doing my masters. 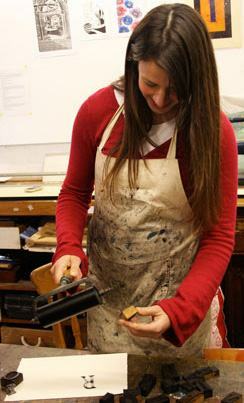 There is a magic to printmaking and any old-fashioned crafts which is almost impossible to recreate on a computer (although they too are of course amazing tools which I use as well). The Brightside font came about very organically. It was really just me, trying things out in a room, with plenty of time to experiment. 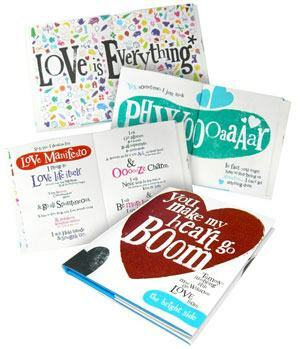 It felt right to have these higgledy-piggeldy letters where every letter position was a decision – and to make prints where little mistakes happened and things weren’t perfect. It’s the imperfections that make it interesting I think. A bit like life. 5. What aspect of your work with The Bright Side do you enjoy most? Brainstorming the ideas. I usually have this huge list of ideas falling out of my brain I’ll scribble down a huge list of possibilities – then it’s a case of narrowing it down – which is where my art director comes in! It’s always nice to have another creative person to bounce ideas around with. I also love hearing from people who enjoy what I do – I get some amazing emails and letters from fellow Brightsiders. 6. Are there any exciting projects on the horizon you can tell us about? Ooooh – it’s all top secret! But we do have LOTS of exciting new things coming out in 2013. I’m already working on more thoughts for Autumn too – and even the diaries for 2014! 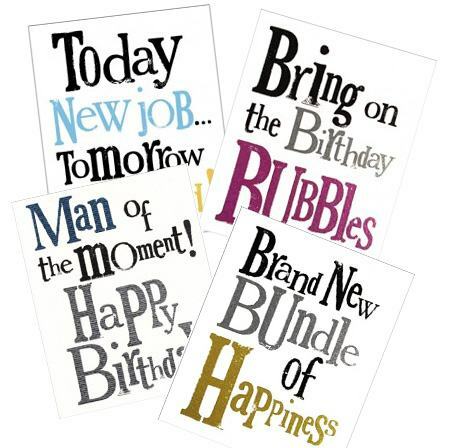 I’m forever pitching ideas for new gifts, cards and books (we’ve got some new ones of these coming in Spring too) so watch this space…. pictured with one of these? 7. David Cameron was recently photographed on his birthday with a Bright Side card – who would you most like to be seen with one? Good question! Hmmm… how about the Dalai Lama? 8. In your bio, you talk about the importance and freedom of childhood. If you could say anything to your childhood-self, what would it be? 9. And what do you think your childhood-self would say back? 10. Amongst other things, you write poems. Can we be cheeky and ask for a Haiku for CampusGifts? This was fun! I made up two. As a naturally verbose person – poetry in so few syllables was a good challenge. 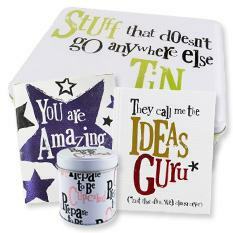 If you'd like to browse through all of our fantastic Bright Side products, simply click here.